Rabbi Levi Jaffe was born in Manchester England in 1968, into a family who are well known for their involvement within Jewish communal life. Following his high school education at Manchester Jewish Grammar School, Rabbi Jaffe went on to study at various Yeshivot in Manchester, Sydney & New York, culminating in his receiving his Rabbinical Ordination from Central Yeshivah Tomchei Tmimim Lubavitch in Brooklyn N.Y. Since high school and through his Yeshivah years Rabbi Jaffe was involved extensively in a wide variety of Jewish community educational outreach and social activities, from leading youth groups to conducting adult education classes, running camps for children and visiting the sick and the elderly. Following his marriage in 1993 to Dvorah (nee Gorman) of London UK, Rabbi and Mrs Jaffe settled in New York where Rabbi Jaffe continued with his post Rabbinic studies, while teaching part time at a Yeshivah high school. Their eldest daughter, Chaya was born during this time. In 1995 the Jaffe’s moved to Brisbane where Rabbi Jaffe served as Rabbi of the South Brisbane Hebrew Congregation for three years. 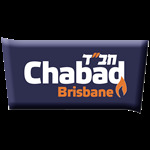 In 1998 Rabbi Jaffe founded Chabad House Brisbane, a branch of the international Chabad movement, a Jewish outreach organization. In 2002 Rabbi Jaffe was appointed Rabbi of the Brisbane Synagogue where he continues to serve to date. In addition to his service to the Brisbane Hebrew Congregation and Chabad House Brisbane, Rabbi Jaffe serves as school Rabbi / Chaplain for Sinai College, Queensland’s only Jewish day School. Rabbi Jaffe is personable and approachable and derives much pleasure in sharing the beauty, joy and rich depth of Judaism with others.